Bulk wheat and other bulk grains are simply the best nutritious, high quality food at the lowest price. 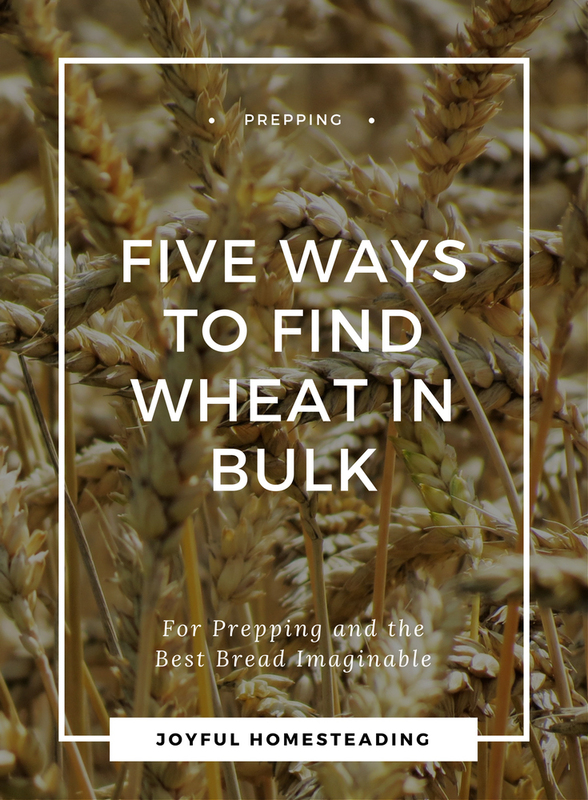 These excellent grains, including not only wheat, but also rye and oats usually store well, are easy to prepare and loaded with vitamins. But finding these wonderful grains – especially if you are new to grinding and preparing this wholesome food – can be a challenge. Here are some tips to get you started. Follow these tips, and soon you will be making a wide variety of delicious baked goods. Sometimes local farmers will form a coop to sell organic grains, milk, eggs and other farm fresh items. To locate them, call your local farm supply stores. There’s bound to be someone there who knows of one. If you can find a local source, this is always your best bet. Grain is heavy, which means high shipping costs. Type the phrase "bulk foods" in your search engine, and you will find hundreds of suppliers of bulk food. Again, because of the exorbitant shipping costs, always try to find a supplier who is nearby. The bulk suppliers order in huge quantities and get their grain at cost. But they still must pay shipping which they pass on to you. So why should you add onto that cost by buying bulk grains from a supplier located across the country? Find a supplier nearby by typing in "bulk foods" and then your city or state. One way to cut down on shipping costs when buying bulk wheat and other grains is by ordering a large enough quantity of grain and other bulk foods to fill a freight truck. You may not have the means or the desire to order thousands of dollars worth of food, but you could if you found enough people who wanted to go in with you. 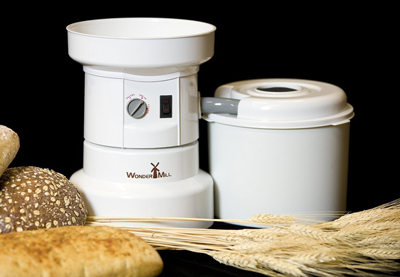 Investing in a good quality grain mill like this WonderMill Electric Grain Mill ensures you'll be grinding your own fresh flour for years to come. Contact your bulk food company and find out what the minimum weight requirement is for having your own truck sent. Then get busy and find like minded people who are also interested in buying bulk grains. There might be a dealer nearby you don't know about. Find suppliers of high quality bulk wheat and other grains and call them. They might be able to direct you to a dealer in your area. Are you passionate about buying wheat in bulk as well as other grains? If you have sufficient storage space, you could buy at cost from a supplier, and then sell it locally. Others in your area who are interested in buying bulk grains themselves will thank you for it. The types of wheat that store best include red winter wheat, Montana white wheat and red spring wheat. When buying bulk grains, you want a wheat with a protein content that is thirteen percent or higher. Wheat Montana Farms provide an excellent wheat with a protein in excess of 18 percent. The moisture content of your wheat should not be any more than ten percent. That way, your wheat isn't as likely to spoil and the little bugs won't grow. Related Article: Save Money and Improve Your Health With This Healthy Bread Recipe.